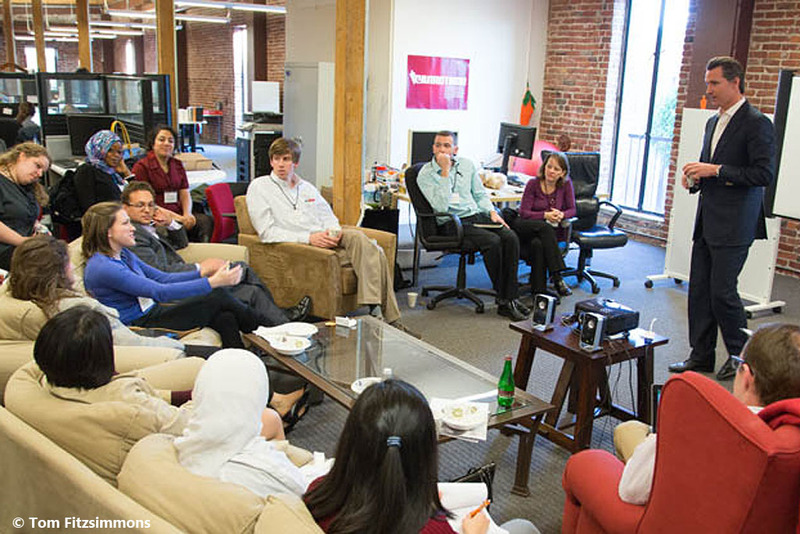 CF is the multidisciplinary community connecting more than 500 Harvard and MIT fellowship recipients from across the United States and around the world. This is a list of relevant Fellowship programs at Harvard. The list features a short description and link to each program’s website where you will find more detailed information. If you have a correction or a submission to add, please let us know by email to info@cambridgefellows.com. Advanced Leadership Initiative Fellowship The Advanced Leadership Initiative was formed by faculty drawn from Harvard’s professional schools of law, business, government, education, medicine and public health to build knowledge about societal challenges requiring interdisciplinary leadership skills and to capitalize on demographic changes that create opportunities to educate and deploy accomplished leaders at later life stages in public service. Through the Advanced Leadership Initiative, Harvard is seeking to tap the experience of a socially conscious generation of leaders and help redirect and broaden their skills to fill critical leadership gaps in solving major social issues. Starting in January 2009, a select group of Fellows from diverse sectors with a track record of achievement and accomplishment have come to Harvard to transition from their primary income-earning careers and prepare for their next phase plan as change agents for society. During their year at Harvard, Fellows will be able to take advantage of the vast intellectual resources of the University to learn, teach, mentor, consult, reflect and plan in preparation for their post-Fellowship project. Ash Center Fellowships The Ash Center supports prominent scholars and political leaders with a host of opportunities to pursue independent research projects, enhance their professional skills, and network with their peers. The Democracy Fellowships program aims to support doctoral and post-doctoral scholars in research related to democratic governance. The Ash Center awards dissertation research fellowships to HKS Ph.D. candidates or other Harvard University students in related fields. The Harvard Kennedy School Indonesia Program offers fellowships to support Indonesian students and scholars participating in degree courses and executive education programs. The New World Fellows Program encourages the next generation of prominent Chinese leaders to develop their professional skills and interact with international leaders of similar seniority and experience. The Rajawali Fellows program allows individuals the freedom to pursue independent research projects, with the help of the Rajawali Foundation Institute for Asia. Bell Fellowships, Harvard School of Public Health Bell Fellows examine a broad range of critical issues in the field of population and development studies from multidisciplinary perspectives. Most will have interests that match the HCPDS’s focal areas: social and environmental determinants of population health; migration and immigration; causes and consequences of health transitions (aging societies); and health consequences of work place policies and work design. The wide range of perspectives will enhance the fellows’ experiences and broaden the community life at the Center. Berkman Center for Internet and Society Fellowship Berkman Center fellowships provide the opportunity for innovative thinkers and changemakers to hone and share ideas, find camaraderie, and spawn new initiatives. The program aims to encourage and support fellows in an inviting and rigorous intellectual environment, with community activities designed to foster inquiry and collaboration. Together fellows actively participate in exchanges through a weekly fellows hour, various online media, fellows-run working groups, and a wide-range of events and interactions. With Berkman faculty, students, staff, and other affiliates, fellows help to develop and advance Berkman Center projects, and learn and teach through courses, curricula and diverse gatherings. Dubin Fellows Program for Emerging Leaders The Dubin Fellows Program for Emerging Leaders is made possible by a generous donation from Glenn Dubin, CEO and co-founder of Highbridge Capital Management and founding Board member of the Robin Hood Foundation. Dubin Fellows are entering master’s degree students at the Harvard Kennedy School who have demonstrated strong character, academic excellence, the ability to thrive and lead in the face of adversity, and a commitment to making a transformative impact on the communities they serve. Dubin Fellows are awarded a scholarship up to full tuition and health fees, as well as support for unpaid summer internships. During their fellowship year, the Dubin Fellows are part of the Center for Public Leadership’s community of graduate fellows and participate in an enriching co-curricular experience designed to enhance and engage their development as the next generation of public leaders. Edmond J. Safra Center for Ethics Undergraduate Fellowship The Edmond J. Safra Undergraduate Fellowship program invites applications from Harvard College sophomores and juniors from any concentration who are pursuing research and writing with an ethics dimension, and who wish to develop their talents in modes of inquiry that are essential to tackling critical moral issues in public life. Every year, eight to twelve fellows will be invited to join a university-wide community of faculty and scholars from the humanities, social sciences, natural sciences, and the professional schools at the Edmond J. Safra Center for Ethics. Edmond J. Safra Center for Ethics Graduate Fellowships To ensure that progress in teaching and research in ethics will continue into the future, the Center trains younger scholars who are prepared to dedicate their careers to the study of practical ethics in a wide variety of subjects. The Graduate Fellowships in Ethics were established in 1990 with the support of the American Express Foundation, and subsequent gifts from Mrs. Lily Safra and Mr. Eugene P. Beard. This early expansion of the Center's mission provided a unique opportunity for graduate students writing dissertations or engaged in major research on topics in practical ethics. More than one hundred Graduate Fellowships have been awarded to Harvard-enrolled graduate and professional students. Edmond J. Safra Center for Ethics Lab Fellowships Housed within the Edmond J. Safra Center for Ethics, the Edmond J. Safra Research Lab is a major initiative designed to address fundamental problems of ethics in a way that is of practical benefit to institutions of government and society around the world. The Lab focuses on a single ethical issue for a five-year period, with the ultimate goal of producing a set of practical tools that might be used both to understand the issue and to respond to it. In pursuit of this goal, and to strengthen and expand the mission generally, the Lab hosts Fellows from a wide range of disciplines across academia, industry, and government. Emirates Leadership Initiative Fellowship The Emirates Leadership Initiative (ELI) Graduate Fellowship is open to all admitted degree program students at the Harvard Kennedy School hailing from the United Arab Emirates and Arab countries. Up to five fellowships a year will be awarded to candidates from the United Arab Emirates; remaining fellowships will be awarded to candidates from Arab countries in the region. Applicants will be considered based on their demonstrated interest in developing their leadership and public management skills in the United Arab Emirates and Arab countries. Successful candidates will demonstrate excellent academic credentials, a deep commitment to public service and strong leadership potential in the Middle East. Environmental Fellows Program Harvard is committed to fostering the development of talented scholars with an interest in environmental research. The Environmental Fellows at Harvard will work with some of the University’s leading faculty, creating linkages across research disciplines and professional schools, and benefitting from all that Harvard has to offer. The Harvard University Center for the Environment created the Environmental Fellows program to enable recent doctorate recipients to use and expand Harvard’s extraordinary resources to tackle complex environmental problems. The Environmental Fellows will work for two years with Harvard faculty members in any school or department to create new knowledge while also strengthening connections across the University’s academic disciplines. Environmental Economics Program Fellows, Harvard Kennedy School This program develops innovative answers to today's complex environmental issues by providing a venue to bring together faculty and graduate students from across Harvard University engaged in research, teaching and outreach in environmental, natural resource and energy economics and related public policy. Ernest May Fellowship Harvard Kennedy School's Belfer Center for Science and International Affairs recently created a new initiative to help build the next generation of men and women who will bring professional history to bear on strategic studies and major issues of international affairs. The Ernest May Fellowships honor Ernest May, Charles Warren Professor of American History, a member of the Belfer Center's board of directors, and a faculty affiliate of the Center's International Security Program, who passed away in June 2009. Ford Foundation Mason Fellowship The Ford Foundation Mason Fellowship will be awarded every year to meritorious Mason Fellows with financial need. Leading candidates will demonstrate strong interest in the overarching issues of concern to the Ash Center: improving democratic institutions and public participation; transparency and information disclosure; public sector innovations; improving urban and municipal governance; and political and social development in Asia. Leading candidates will also demonstrate the capacity for leadership in the public sector and a commitment to the study and implementation of effective and innovative governance, including non-traditional approaches to civic and political development. Film Study Center Fellowships FSC-Harvard fellowships support advanced work in film, video, photography, and sound, from the ethnographic to the experimental, that explores and expands the expressive potential of audiovisual media, especially through nonfiction.FSC-Harvard fellowships are open to Harvard faculty, graduate students, teaching assistants, and postdoctoral and research fellows. Applicants must be affiliated with Harvard during the fellowship year for which they are applying. George Leadership Fellowship Made possible through a generous gift from the George Family Foundation, the George Leadership Fellowships support selected students in the joint program offered through Harvard Business School (HBS) and Harvard Kennedy School (HKS) with a $10,000 stipend. The fellowships reflect the foundation’s commitment to enhancing public service by investing in character formation and leadership development.Fellows are selected based on their demonstrated interest in community and organizational transformation through public service, activism, and social entrepreneurship, as well as a commitment to working in two of three designated areas—the public sector, private sector, and nonprofit sector—over the course of their careers. Special emphasis in the program is placed upon character development and ethical leadership. Gleitsman Fellowship Gleitsman Leadership Fellowships are funded through an endowed gift to CPL from the estate of Alan L. Gleitsman. These fellowships provide significant financial support and a robust cocurricular experience to promising Harvard Kennedy School students interested in social change.Gleitsman Fellowships recognize Harvard Kennedy School students for their background or potential as activists. With the income generated by a $20 million endowed gift from the estate of Alan L. Gleitsman, CPL launched the Gleitsman Program in Leadership for Social Change (GPLSC) in 2007. It was Mr. Gleitsman’s hope that if the world knew of the accomplishments of social activists, others would be inspired by their stories and would fight to correct some of the other problems facing the world, thereby improving the quality of life for all of us. Harvard Divinity School Fellowship The Resident Fellows Program at Harvard Divinity School provides an opportunity for sabbatical study for missionaries and executives of denominations and religious bodies who wish to be in residence at the School while on leave from their regular duties.The program runs through a Harvard term, which includes approximately thirteen weeks of classes, two weeks of reading period, and two weeks of examinations (see the HDS Academic Calendar). Resident Fellows are free to pursue their own programs of reflection and study in whatever way they desire; there are courses available at the Divinity School, in the wider University with its professional Schools, and from the many schools in the Boston Theological Institute. If Resident Fellows choose to take courses, they may take them for credit or audit. Harvard Graduate School Leadership Institute Fellowship HGSLI was founded by graduate students at the Harvard Kennedy School and Harvard Business School who felt that the current opportunities for authentic leadership development were missing a critical piece. The first cohort of fellows was recruited and accepted in the fall of 2012. Since that time, HGSLI has accrued 120 alumni and is now housed in the Center for Public Leadership at the Kennedy School of Government. Horace W. Goldsmith Fellowship Awards of approximately $10,000 are given to 7-10 first-year MBA students who have exhibited leadership and an extraordinary commitment to working in the nonprofit sector. This fellowship is given in addition to any need-based fellowship awards and is available in the first year only.This fellowship was created in 1988 by the Horace W. Goldsmith Foundation and Richard L. Menschel, MBA 1959, to encourage students from the nonprofit sector to pursue an MBA at HBS. Mr. Menschel, a former director of the Foundation and Limited Partner, Goldman Sachs, was an early supporter of the HBS Social Enterprise Initiative and serves on the Advisory Board. Recipients are invited to participate in events with current and former recipients, as well as local nonprofit leaders, in an effort to create a network of individuals committed to working in the sector. More than 100 students have received this award since its inception.Recipients of this award have served in full-time leadership roles in the nonprofit sector prior to enrolling at HBS and demonstrate a strong commitment to a career in the sector. Institute of Politics (Resident Fellowship) The Fellows Program represents a unique opportunity for political practitioners with diverse experiences and viewpoints to spend a semester at Harvard. Fellows interact with students, participate in the intellectual life of the community, and pursue individual studies or projects. The Fellows Program is central to the Institute’s dual commitment to encourage student interest in public life and to develop ways for the academic and political communities to learn from each other. Institute of Politics Visiting Fellowship This short-term fellowship periodically brings distinguished veterans of public life to Harvard for a short stay. The program is designed to provide maximum contact with the University community, particularly undergraduate students. Each fellowship is individually tailored to the background of the Visiting Fellow. Visiting Fellows have a compacted schedule and will often conduct three or four events in a day. These events include roundtable discussions, study groups and occasionally a Forum event. John H. MacArthur Canadian Fellowship The John H. McArthur Canadian Fellowship provides financial assistance to Canadians to enable them to attend Harvard Business School and thereby acquire the leadership skills to make a lifelong contribution to Canadian society.By helping to defray the costs of the MBA program, the John H. McArthur Canadian Fellowship seeks to amplify the message that all qualified Canadians are welcome at Harvard, regardless of financial ability. The Initiative also hopes to further remove debt burden considerations from job choice and early career decisions. It is the goal of these generous alumni that future Canadian graduates of Harvard Business School make lifelong contributions to Canadian society, from wherever their career paths take them. Junior Achievement Fellowship An endowment to fund a number of Junior Achievement Fellowships at Harvard Business School was established by Royal Little, former Chairman of Textron, Inc.; the late James E. Robison, former head of Indian Head, Inc.; and the late Lawrence Fouraker, Dean of the School from 1970 to 1980.Junior Achievement Fellowships are significant financial awards, ranging from $5-6,500 in recent years. Fellowships are awarded annually, and current recipients must re-apply for the fellowship for the following academic year. You can be considered for a Junior Achievement Fellowship if you have at least two years experience in Junior Achievement, whether you participated as a mentor in high school or as an advisor in or after college. Loeb Fellowship Engage. Reflect. Change. Renew. Connect. Learn. Explore. Loeb Fellows use words like these to describe their unique experience at Harvard’s Graduate School of Design. In the middle of promising careers shaping the built and natural environment, these accomplished practitioners step away from their hectic professional lives. For one academic year, they are free to take classes at the GSD and throughout Harvard’s vast network of professional and academic schools. They read, write, talk with professors, mentor students and expand their horizons in other ways they see fit. Their goals? To become better at their craft, to step up to leadership roles, and to change the world with their unique perspectives. McMillan-Stewart Fellowship in Distinguished Filmmaking The McMillan-Stewart Fellowship in Distinguished Filmmaking was established at the Film Study Center in 1997 with a generous gift from Genevieve McMillan in memory of her late friend, Reba Stewart, in support of outstanding filmmakers, especially of francophone African origin. The endowment provides both a fellowship for the laureate, while they visit Harvard and share their work with the University community, and also for the purchase of a representative example of the fellow’s oeuvre for preservation in the Harvard Film Archive. metaLAB Fellowship metaLAB is a community dedicated to exploring networked culture, developing curatorial experiments, building tools, and devising transformative approaches to the use of technology in the classroom. The lab’s day-to-day research and operations are governed by a group of Principals, with Founders and Senior Advisors serving as a board. The core team works in close collaboration with metaLAB fellows and a growing network of partners and affiliates. Mossavar-Rahmani Center for Business and Government Senior Fellowship, Harvard Kennedy School Senior fellows are distinguished professionals from government and/or business who come to M-RCBG to address issues at the interface of the public and private sectors: regulation, corporate governance, and the role of government in the changing global economy. Senior fellows undertake independent research projects that culminate in a journal article or book. They also offer study groups for Harvard students. Their role strengthens the connection between theory and practice, offering both faculty and students insights to the nature of social problems and their most practical solutions. National Security Fellowship The National Security Fellows Program at Harvard University’s John F. Kennedy School of Government is a closed enrollment program which offers a ten-month postgraduate research fellowship for U.S. military officers and U.S. government civilian officials from the Intelligence Community who show promise of rising to the most challenging leadership positions in their organizations. Selection for this program is done by the respective military services and agencies. National Security Fellows have the opportunity to study a wide range of public management and security issues. They belong to a fellowship community that brings other practitioners such as politicians, journalists, diplomats, and educators to Harvard. After they leave Cambridge, Fellows continue to take part in a variety of events that are organized regularly for alumni of the Kennedy School. Nieman Fellowship Each year, the Nieman Foundation for Journalism at Harvard offers fellowships to two dozen of the world’s most promising journalists. They work across all media platforms – in print, radio, television, film and online as reporters, editors, photojournalists, anchors and columnists. A number of them are journalism entrepreneurs and innovators who are discovering new ways to communicate in the digital age. On campus, Nieman Fellows follow study plans designed to enhance their expertise and return them to their news operations better prepared to lead and understand and interpret an increasingly complex world. The Nieman Foundation also runs programming to further educate the fellows about changes in the news industry and the revolution in communications through seminars, conferences and professional training. While in Cambridge, the fellows often serve as resources to students and faculty through a variety of collaborations.More than 1,300 journalists from 92 countries have studied as Nieman Fellows at Harvard since the fellowship program began in 1938. Radcliffe Institute Fellowship Program The Radcliffe Institute has supported the work of 50 fellows annually in the arts, humanities, sciences, and social sciences. The Radcliffe Institute for Advanced Study is defined by a program that provides one-year fellowships for projects in a variety of disciplines in an open intellectual atmosphere. The Radcliffe Institute Fellowship Program has awarded over 600 fellowships since our founding in 1999. The Robert E. Fulton III Fellowship in Nonfiction Filmmaking The Robert E. Fulton III Fellowship in Nonfiction Filmmaking was established at the Film Study Center in 2003 in honor of the late Robert Fulton, former fellow of the Film Study Center, and faculty member and student in the Visual and Environmental Studies Department at Harvard University.The Robert E. Fulton III Fellowship in Nonfiction Filmmaking is designed to further the work of emerging non-fiction film or video makers who exemplify Robert Fulton’s own qualities: his independent spirit; his exploration of diverse cultures; his arresting cinematography; and his profound aesthetic sensibility, particularly towards natural landscapes. Robert S. Kaplan Life Sciences Fellowship HBS awards $20,000 each to ten incoming MBA students who present outstanding credentials from disciplines in the life sciences. Credentials may include academic achievements, recognition from outside organizations and professional accomplishments. Preference will be given to students who are planning careers in science-related businesses or organizations. The awards are for the first year only. The Kaplan fellowship does not affect eligibility for need-based HBS Fellowships.This fellowship was created in 2008 by Robert S. Kaplan, MBA 1983, to encourage students with life sciences backgrounds and career interests to attend HBS. Robert S. Kaplan currently serves as Professor of Management Practice at Harvard Business School and Senior Director of The Goldman Sachs Group, Inc.
Robert Wood Johnson Scholars in the Health Policy Research Program Fellowship The Scholars in Health Policy Research Program of The Robert Wood Johnson Foundation is the most sought-after interdisciplinary post-doctoral fellowship program in the social sciences. Its purpose is to foster the development of a new generation of creative thinkers in health policy research. Scholars need not have any prior experience in this field and they come from the disciplines of economics, political science, and sociology. They normally return to these disciplines after their fellowship is completed. Each year, the program enables up to 12 highly qualified individuals up to five years post-Ph.D. to undertake two-year fellowships without any of the usual obligations of teaching and university administration. Three or four of the 12 scholars are specially selected to spend their two fellowship years at Harvard University, totaling seven or eight in residence at any one time, with the full range of the University’s resources at their disposal. RWJF Health and Society Scholars Program The Health & Society Scholars (HSS) Program at Harvard University is a unique interdisciplinary initiative that integrates activities from four schools, each with a national reputation for academic excellence: The School of Public Health, the John F. Kennedy School of Government, the Harvard Medical School, and the Faculty of Arts and Sciences. Based on a foundation of four core disciplines – social epidemiology, public policy, history of science, and neuroscience – our program brings together some of the world’s most renowned academics in those fields. Inspire new ideas and innovative change in programs and policies that serve communities. Joan Shorenstein Fellowship The Joan Shorenstein Fellowship offers an opportunity for accomplished journalists, politicians and scholars to spend a semester at Harvard University, where they can share their knowledge and expertise in a collegial and intellectually stimulating environment. The mission of the Fellowship is to advance research in the field of media, politics and public policy; facilitate a dialogue among journalists, scholars, policymakers and students; provide an opportunity for reflection; and create a vibrant and long-lasting community of scholars and practitioners. The primary focus for a Fellow is to research, write and publish a paper on a media/politics topic. Takemi Program in International Health Fellowships The Takemi Program in International Health at the Harvard School of Public Health is an interdisciplinary research program that focuses on the problems of mobilizing, allocating, and maintaining limited resources to improve health. To address these issues, the program brings together at Harvard a small group of Takemi Fellows, mid-career professionals from around the world, with particular emphasis on fellows from developing countries. W.E.B. DuBois Fellowship The W. E. B. Du Bois Institute is the nation’s oldest research center dedicated to the study of the history, culture, and social institutions of Africans and African Americans. Named after the first African American to receive a Ph.D. from Harvard University, William Edward Burghardt Du Bois (1895), the Institute was established in May 1975 to create fellowships that would “facilitate the writing of doctoral dissertations in areas related to Afro- American Studies.” Today, the Institute awards up to twenty fellowships annually to scholars at various stages of their careers in the fields of African and African American Studies, broadly defined to cover the expanse of the African Diaspora. The Du Bois Institute’s research projects and visiting fellows form the vital nucleus around which revolve a stimulating array of lecture series, art exhibitions, readings, conferences, and archival and publication projects. Weatherhead Center Fellowship The Fellows Program is the principal forum for the interaction of practitioners with the faculty, students, and visiting scholars of the Weatherhead Center. Fellows may be senior diplomats, military officers, politicians, journalists, international civil servants, officials from nongovernmental organizations, and business leaders from around the world. While on campus, they are exposed to social science theories and research intended to place their experiences in a more general perspective. Their primary activity is to work on a research project of their choosing. They may also organize and lead study groups for Harvard undergraduates, participate in seminars at the Center and elsewhere, audit courses, and provide advice to undergraduate and graduate students. Wexner Israel Fellowship Funded through the generosity of Leslie and Abigail Wexner, the Wexner Foundation annually supports ten outstanding Israeli government and public service professionals as they pursue a mid-career Master’s Degree in Public Administration from Harvard Kennedy School. The Wexner Foundation supplements the Fellow’s academic curriculum with a rigorous study of leadership, the American political system, and the North American Jewish community.At Harvard Kennedy School, Fellows find a rich environment that is conducive to reflection and dialogue about Israel’s policy challenges and the diverse leadership strategies that could address those challenges. Upon completing their degree, Fellows return to Israel with an advanced understanding of public management and leadership development, thus enhancing the quality of democracy and the institutional vitality of Israel’s public sector. Zuckerman Fellowship The challenges we face in our public schools and public health systems, as well as in government at all levels, are too complicated to be solved without the insight and commitment of leaders with the highest-quality professional training. But for many who have a strong aptitude for public service, the opportunity costs associated with acquiring the necessary training are too high.In response to this problem, the Zuckerman Fellows Program equips people from the fields of medicine, law, and business to provide leadership for the common good by making it possible for them to pursue public service degrees at the Harvard Graduate School of Education, Harvard School of Public Health, or Harvard Kennedy School. The Zuckerman Fellowship provides recipients with full tuition and health insurance fees plus a stipend of $15,000 for one year.